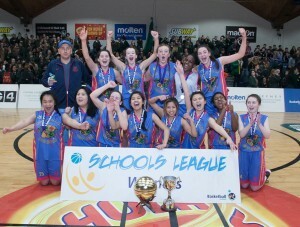 The victorious U-19C All Ireland Girls Basketball Champions. Debating aims to train the girls in the art of persuasive argument. It also gives the pupils tools to research a topic and form a logical, convincing and persuasive case. It helps greatly with structuring answers for exam type questions and can really help students gain confidence in public speaking. Debating Club meets in Room 8 every Friday from 3.15pm to 4.15pm. No debating experience is necessary. Pupils are welcome to sit in on the debates to familiarise themselves with debating before they stand up. to argue their point. 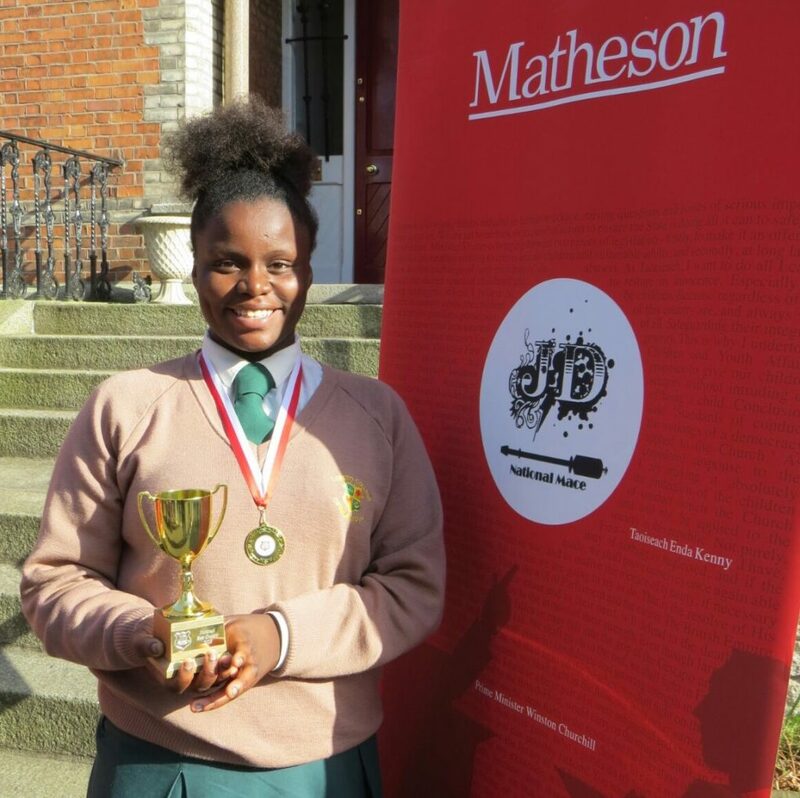 The Junior Debate team made it to the finals of the Loreto Mace Debates for the 2012/2013 academic year. 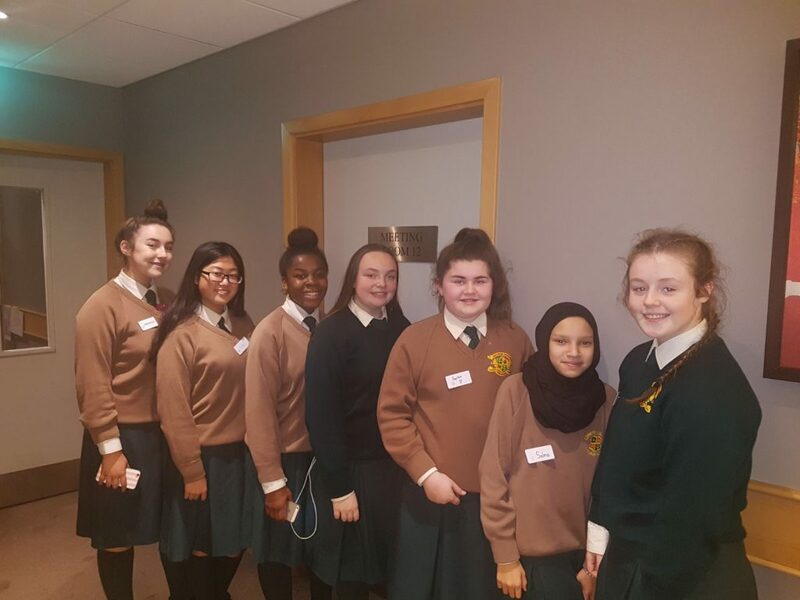 There are two Junior and a Senior team participating in the Leinster Schools debates. Lessons in Drumming, Piano and Singing are currently available in our school and take place in addition to timetabled music classes. These lessons aim to provide students with high quality vocal and instrumental tuition. The lessons take place in a dedicated music room and practice rooms are available for drumming and piano. 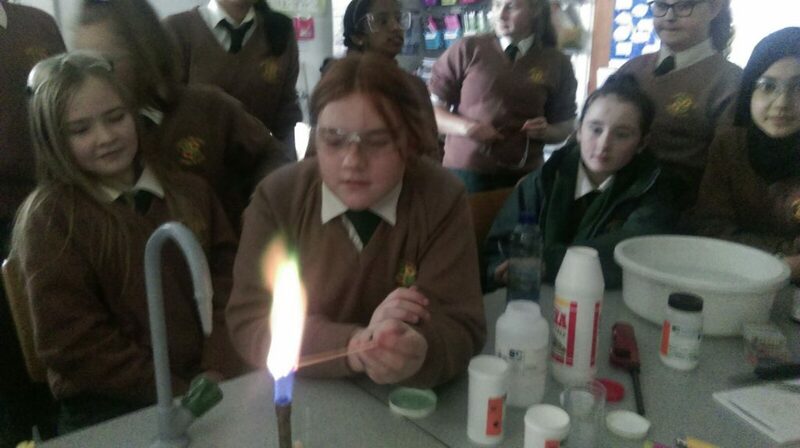 Students from all year groups are welcome to participate in lessons, and anyone who is interested should speak to Mr Greene or Ms Cullen. Our annual Autumn Leaves concert is always a wonderful event and showcases the best of our talent. It gives our students a great opportunity to participate in public performance. Soccer is a great way to particpate in a team sport and improve health and fitness. Training takes place every week after school at 3.40pm Soccer training is open to all year groups. To participate come along to training or talk to Mr Wall or Mr Howard. Camogie is excellent for general health and fitness. There are currently two teams: Under-16 and Under-14. Training takes place after school every Wednesday or Thursday. Speak to Mr Quinn for more details. 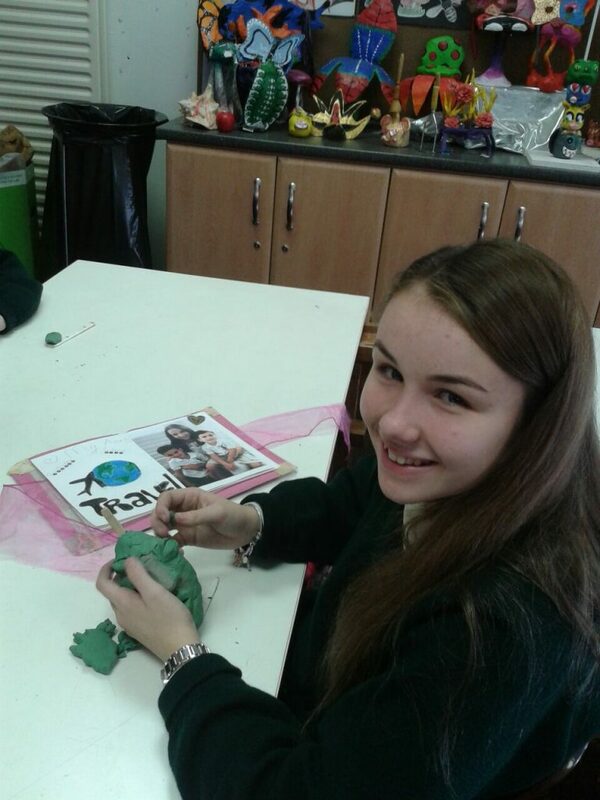 Our Irish language club takes place gach Aoine ag am lóin. (Every Friday at lunch time) chun an Ghaeilge labhartha a chur chun cinn (to promote spoken Irish in a fun way!). Buail isteach (drop into Room 22) and be prepared to make an effort, no Béarla allowed! It is currently aimed at sixth year students and really helps with an scrúdú cainte in the Leaving Certificate. To get involved speak to Ms. Nolan. The Green Team takes responsibility for Environmental Awareness and Protection within the school. Any student concerned about environmental issues is welcome to join and bring their thoughts and ideas to the Green Team. The Green Team meets once a week in room 38 at tutor time. There are currently 80 members including committee on the Green Team. To get involved students need to speak to Ms Cullen. The Green Team are very proud of the four Green flags we have achieved, these flags are for Recycling, Energy, Water Conservation and Sustainable Transport. 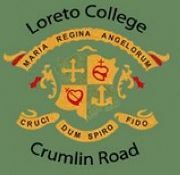 Basketball is one of the many sports played in Loreto Crumlin. From the more advanced players to absolute beginners, the basketball club has teams to cater for every level. 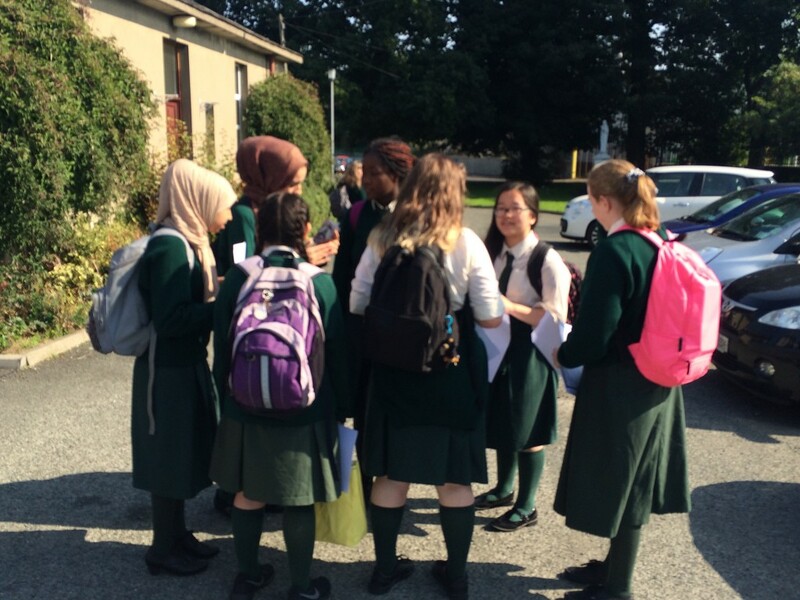 Teams train every week after school and matches are played throughout the year against Dublin-based Loreto and non Loreto schools. Under Coach Darren McGuinness the school has enjoyed many recent successes. We are the current All-Ireland U-19C Champions. Our team mascot, the Crumlin Cat is a keen supporter and is always there to cheer us on in finals! Contact Ms Maxwell for further details.